[PDF] Human Anatomy & Physiology (Benjamin Cummings 7th Edition) | Free eBooks Download - EBOOKEE! 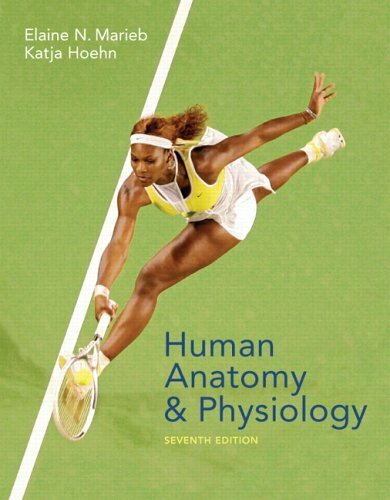 Description: KEY BENEFIT: With each edition of her top-selling Human Anatomy & Physiology text, Elaine N. Marieb draws on her own, unique experience as a full-time A&P professor and part-time nursing student to explain concepts and processes in a meaningful and memorable way. With the Seventh Edition, Dr. Marieb has teamed up with co-author Katja Hoehn to produce the most exciting edition yet, with beautifully-enhanced muscle illustrations, updated coverage of factual material and topic boxes, new coverage of high-interest topics such as Botox, designer drugs, and cancer treatment, and a comprehensive instructor and student media package. The Human Body: An Orientation, Chemistry Comes Alive, Cells: The Living Units, Tissue: The Living Fabric, The Integumentary System, Bones and Skeletal Tissues, The Skeleton, Joints, Muscles and Muscle Tissue, The Muscular System, Fundamentals of the Nervous System and Nervous Tissue, The Central Nervous System, The Peripheral Nervous System and Reflex Activity, The Autonomic Nervous System, The Special Senses, The Endocrine System, Blood, The Cardiovascular System: The Heart, The Cardiovascular System: Blood Vessels, The Lymphatic System, The Immune System: Innate and Adaptive Body Defensives, The Respiratory System, The Digestive System, Nutrition, Metabolism, and Body Temperature Regulation, The Urinary System, Fluid, Electrolyte, and Acid-Base Balance, The Reproductive System, Pregnancy and Human Development, Heredity For all readers interested in human anatomy & physiology. No comments for "[PDF] Human Anatomy & Physiology (Benjamin Cummings 7th Edition)".